We at Creative Cauldron are so grateful for our individual, corporate and government donors! Your support directly impacts our programming. Thanks to donors, we can hire the most talented professional actors, musicians and teaching artists – and our 16 Helen Hayes Awards nominations and three awards are proof of our success. Your support directly helps others too. We were founded on the principle that the arts should be inclusive and affordable. We strive to give people of all ages, incomes and backgrounds opportunities to connect and grow through the arts. Your donation helps us provide tickets to people of all ages who could not otherwise attend performances or enroll in classes and camps – like those served by the Veteran Tickets Foundation, the Fenwick Foundation and Homestretch. Thanks to your generosity, we will continue our mission: to provide the performing and visual arts experiences that have become the very fabric of our Creative Cauldron community. ﻿Does your company match employee gifts? Many companies have programs that will match employee contributions up to 100%. Double your impact by having your employer match your gift! Not sure if your company has a matching program? Check out this handy list or ask your supervisor! 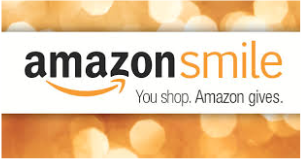 Use Amazon Smile to have a portion of qualifying purchases donated to the charity of your choice at no extra cost to you! Just use the link below to start shopping and visit smile.amazon.com every time you want to shop with Amazon. Its the same great deals with 0.5% of your purchase supporting Creative Cauldron!